Are you in the mood for demanding regatta sailing? We provide you with the unique opportunity to start at all mayor regattas in the Caribbean Sea - as a corporate team or a private group. Since 1993 we have been in Sail Consulting & Management. 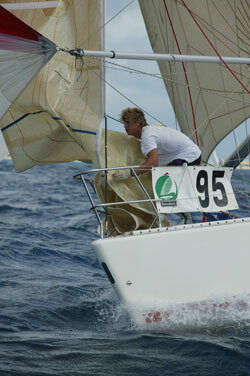 Sailing - we know it from the professional side as active sailors and crewmembers of high ranking professional teams. Use our experience for your regatta event!